Charles Clarke, a seventh-year graduate student, said he planned to hunger strike until he received an apology from Weinberg Dean Adrian Randolph for the administration’s handling of political science Prof. Jacqueline Stevens’ now-lifted campus ban. Clarke, who ended his hunger strike on Sunday, said he was not offered information or guidance when Stevens was prohibited from contacting students at the end of July. Graduate student Charles Clarke was halfway into the eighth day of his hunger strike when his faculty adviser, political science Prof. Jacqueline Stevens, convinced him to eat again. Clarke, a seventh-year political science and law dual-degree student, had said he would hunger strike until he received an apology from Weinberg Dean Adrian Randolph for how the administration handled Stevens’ near eight-week ban from campus. Clarke said the ban, which included a prohibition of contact with students, had slowed the process on his dissertation and derailed his work with the Deportation Research Clinic, which Stevens directs. Stevens was put on involuntary medical leave at the end of July based on reports that she posed a threat to campus safety, according to a letter Randolph sent to Stevens, who made the document public online. 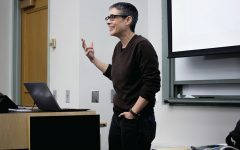 The political science professor holds that claims of “threatening” behavior are without foundation, attributing the University’s action in part to her political activism, including organizing the opposition to former ambassador Karl Eikenberry’s appointment to lead the Buffett Institute of Global Studies. The campus ban was lifted more than two weeks ago after Stevens completed a required fitness-for-duty evaluation, but Randolph said in the letter notifying Stevens of the news that he was considering other disciplinary actions based on what he called “bullying” of colleagues, staff and students. Stevens said she categorically denies bullying anyone. 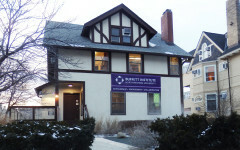 When Stevens’ involuntary medical leave began at the end of July, Clarke said no one reached out to inform him that he would not be allowed to continue business as usual with Stevens, who he called “the one person in the world” who has kept him at Northwestern. “I had tried other less extreme methods of just simply asking, demanding, begging for help and recognition, and the responses were very unsatisfactory,” Clarke said. Clarke said he did not inform Randolph directly about the hunger strike, but rather, relied on friends and colleagues to relay the message. During the hunger strike, he said he consumed one scoop of protein powder and a vitamin each day. Clarke — who said he has worked with Stevens for four years — first sent an email to Randolph on Sept. 3 attesting to his faculty adviser’s character and competence after she made the campus ban public on her blog. In the email, obtained by The Daily, Clarke also wrote that he considered the decision to ban Stevens from contacting students as a “direct attack on me as well,” saying he was considering taking legal action against the University for the “delay and inconvenience” he endured. “As in all cases like this, we are following the University’s established procedures designed to protect the health of our students and promote their academic success,” Randolph told The Daily in an email. In Randolph’s response to Clarke, he said Stevens was permitted to continue advising students over email. But — according to Stevens and multiple students — the dean and Stevens’ lawyer were attached to those emails. Clarke said he didn’t feel comfortable sending through that email channel a copy of his dissertation or work from the Deportation Research Clinic, which studies misconduct of government agencies in implementing deportation laws. Stevens said she was permitted to create a list of students she could be in contact with over email, but considers that allowance by administrators a way of “avoiding accountability” when pressed on their actions in the future. “None of what they were doing at any point was about helping the students. It was all about trying to harass me,” Stevens said. 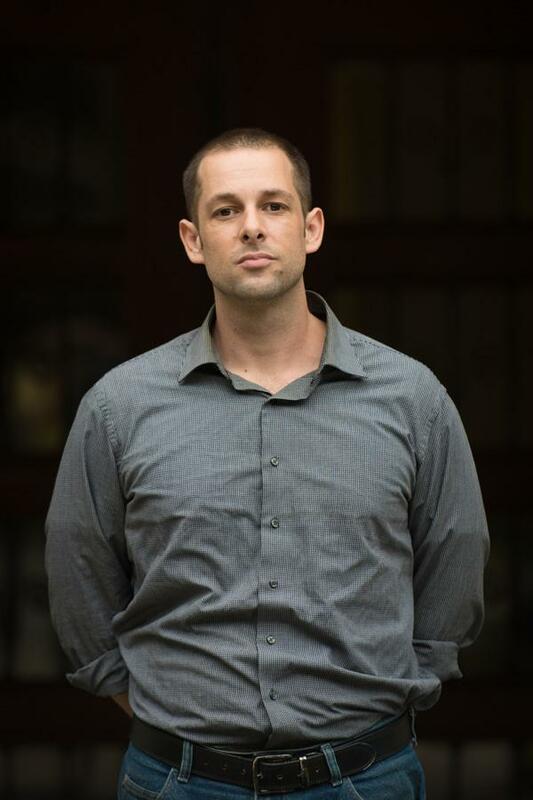 When Clarke followed up over email on Sept. 13 with Randolph and political science Prof. Karen Alter, director of graduate studies, he wrote that he was “suffering psychologically, economically and intellectually as a result of your indifference” and demanded an official apology from the University. Alter responded saying she would not “engage long emails such as this,” but invited Clarke to visit her office or speak with her during special office hours reserved for graduate students. Before Clarke ended his hunger strike, Alter told The Daily that Clarke had not approached her in person with his concerns. “I am, and remain concerned about his well being, and I am happy to do what I can to help him,” Alter wrote in an email to The Daily. Clarke said he did not visit Alter because, at that point, seeking help from department leadership did not seem like it would benefit him. In the email to Randolph and Alter, less than a week before Stevens’ ban was lifted, he demanded financial compensation from the University if his graduation was delayed due to actions toward Stevens, as well as requested that the University appoint or pay for a lawyer, among other demands. Clarke has been able to communicate freely with Stevens since the ban was lifted. But he also told The Daily that his personal problems in effect of Stevens’ ban multiplied when anonymous users on an internet forum “Political Science Rumors” began calling him out by name — once referring to him with disparaging curse word and another time as “one of Jackie’s lackeys.” Because his name was mentioned multiple times, he said he worried about the forum’s effect on his reputation and job prospects. Undergraduate students who work closely with Stevens also found out about the professor’s ban through her blog or media accounts. Weinberg senior Bit Meehan said she reached out to faculty and administrators to discern whether she could use a letter of recommendation from Stevens and whether she needed to find a new adviser for her honors thesis. Faculty helped her confirm that she could use Stevens’ letter, Meehan said, but when she clarified that she would still like to keep Stevens as an adviser if possible, she was told in an email on Sept. 4 that it would not be possible. In the two weeks before Stevens’ ban from campus was lifted, Meehan said she was searching for someone else to advise her thesis. Political science Prof. Sara Monoson, chair of the department, responded to a request for comment on protocol following Stevens being put on leave by saying the department is committed to making available learning opportunities for undergraduate and graduate students inside and outside the classroom. Months before Stevens’ ban, Weinberg senior Hayley Hopkins said she applied to renew her Farrell Fellowship that she had initially received for her junior year. Hopkins said the option to work with Stevens again was listed on the website, but when she submitted her application through the department, she never heard back. Stevens told Hopkins she hadn’t received her application, which is typically forwarded to the proper professor through the department. After Hopkins, who also works at the Deportation Research Clinic, inquired about the status of her application, she said she received a notification from the department saying they would not be pursuing the application — the same generic rejection she got as a freshman, when she first applied for the fellowship, she said. “Had I known this project wasn’t going to be funded, I would’ve applied for something else,” Hopkins said. Stevens said she was given shifting answers as to why the Farrell funds she used to pay undergraduate researchers was taken away. She said she was initially told the revocation of funds was due to unspecified “student complaints,” before pointing out that students were reapplying to work with her. Stevens said Randolph then told her the funds would continue to be withheld because she had supposedly made a colleague feel unsafe, according to an email Stevens sent to the dean after the ban was lifted. Stevens’ faculty project within the Farrell Fellowship program is the only one listed on the political science department website as “no longer accepting applications.” Monoson did not comment on the record about the funds. Clarke, who plans to defend his dissertation in the spring, said using a hunger strike to draw attention to what he said was a lack of guidance offered to Stevens’ students was “extreme,” but not inappropriately so. This story was updated to clarify that Stevens denies alleged “bullying” and to clarify explanations to Stevens as to the state of her Farrell Funds.